"This summer the company printed the 250 most common names of U.S. teens on Coke bottles, hoping that millions of kids will want to buy drinks with their names on them. 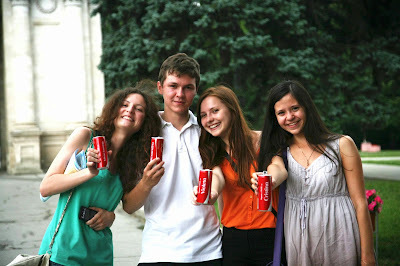 So far it seems to be working: In the last three months, sales of Coca-Cola have inched up 1 percent in North America." Moreover, do you really think that these cans and bottles won't target your preteens too? "The heart of this campaign was the physical customization of Coca-Cola cans (Brand Experience) for TEENS."